A variety of technologies can be used in the framework of R&D projects for shoes, insoles, garments, smart textiles, etc. We could also be your partner for the validation aspect: does it actually work? Our movement analysis labs are specialized in applied biomechanical studies in the field of human motor skills. Projects are conducted in sports (from elite competitive sports to physical activity promotion) and in all other areas involving human movement (and posture) e.g. ergonomics and prevention of injuries. Special expertise concerns locomotion; e.g. on running, footwear biomechanics and player-shoe-surface interaction (artificial turf). High level movement analytic infrastructure and related methods are available (3D kinematics and kinetics, EMG, speed-laser, ultrasound, etc…). State of the art developments are currently done with exoskeletons powered by artificial muscles. Service research is also conducted for major companies and professional athletes around the globe. The Motor Control Research Group focuses on two topics relevant for sports and elite sports. The topic ‘Talent Detection and Identification’ aims at developing instruments that allow the identification of a young athlete’s characteristics that are typical for a specific sport or group of sports. The so-called Flemish Sports Compass can be used for children that are looking for a sport that matches their abilities, as well as to verify to what extent promising youth athletes are training in the ‘right’ sport discipline. The second topic focuses on the use of visual information in sports in which performance is determined (among others) by the decision-making skills of the athlete. In this research line, the visual search patterns of athletes are monitored by state-of-the art eye tracking methodology. Comparison of the visual behavior of athletes with different levels of expertise is helpful for the selection and development of young athletes. This research group is specialized in the physiologic responses and adaptations to exercise and training, optimization of training by means of accurate physical testing, and planning and periodization of training. The expertise specifically concerns physiological profiling of different sports and athletes (team and individual), training follow-up, influence of environmental factors on performance, and general (e.g. sleep, passive rest …) and short term (e.g. active recovery, hydration …) intervention strategies to enhance recovery. Additionally, the Critical Power Concept as a tool to analyze performance and prescribe training guidelines is an important research topic. 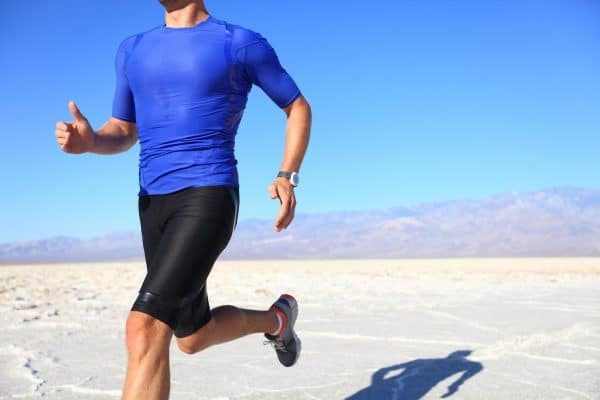 The research group has also developed expertise in the domain of muscle blood flow, oxygenation and muscle activation with specific applications to sport and clinical settings. In this context, a sailing ergometer (emulation) was constructed to study the physiological responses to dinghy sailing allowing adequate training guidance of Olympic sailors. Within the department of Rehabilitation Sciences and Physiotherapy, we have experience with e.g. prospective studies on intrinsic risk factors for foot, ankle, knee and shoulder injuries, identification of underlying mechanisms for those injuries and evaluation of clinical interventions in patients. In addition, injury prevention programs in healthy athletes and the underlying mechanisms in the development of low back and neck pain are evaluated. Experimental testing is performed with EMG, 3D kinematics, NMR, etc. and the evaluation of clinical interventions in both healthy subjects as patients is performed on a regular basis. During the past decade, our group gathered an extensive amount of know-how in the field of sports injury prevention. Up till now, this is done within the context of recreational and competitive sports, as well as in the context of Physical Education (PE) at school. Based on the existing know-how, we created the spin-off SpartaNova in collaboration with the University of Brussels. We currently continue our research activities with large scale prospective epidemiological studies (incidence and risk factor analysis) and intervention studies with long-term follow up. We also apply new motivational techniques in these investigations. The insights are currently brought into the field with students in PE teacher training, in service training for PE teachers and in Flemish youth sport environments. Our Centre of Sports Medicine offers qualitatively high and specialized services for people who want to practice sports in medically safe conditions to enhance their sports performance or to maximize their physical and psychological well-being. The Centre is officially recognized by the Ministry of the Flemish Community as a medical screening center within the context of ‘Medically Justified Sports Practice’. Our dynamic and experienced team offers various services on a daily basis: sports medical screening, exercise physiology and training advice, gait analysis, cycle setup and cycle screening, sports medical consultation, sports physiotherapy and prevention, sports psychological testing, evaluation and coaching, and sports nutrition counseling. Studies are executed in all age groups, including children, adolescents, adults and seniors. Various studies are conducted on this topic in the context of physical education, physical activity and sport. All studies start from the Self-Determination Theory (SDT) as a theoretical framework to investigate how social agents such as coaches, parents and teachers can create motivating environments in which the basic psychological needs for relatedness (i.e., feeling close and connected), competence (i.e., feeling effective and masterful) and autonomy (i.e., experiencing a sense of volition) are nurtured. This research team wants to increase the relevance of their work for practitioners in the field. Therefore, they develop tools and share the common interest to develop new evidence- and SDT-based interventions aimed at training teachers, parents and coaches to adopt a more motivating style. Our Centre for Microsystems Technology (CMST) is an IMEC-affiliated lab focusing on the integration of high-tech electronic functionality (sensors, smart systems etc.) in unusual ways and locations such as clothing, wearables, sports equipment or other objects. 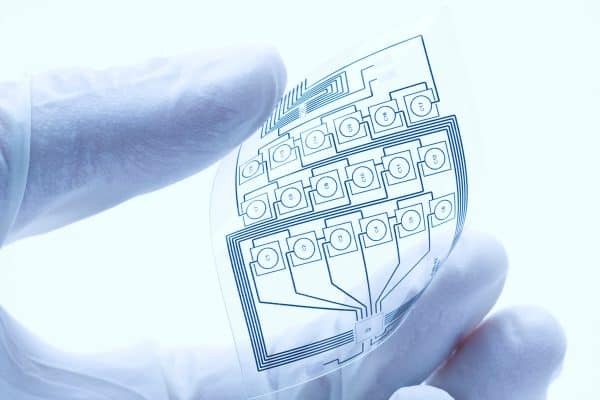 To realize this, either the electronics are packaged in a way that they become very small and thin, or they are made flexible or stretchable so that they can comfortably be integrated on curved surfaces or become wearable. CMST is also developing novel types of sensors, mainly in the domains of pressure and strain sensing. Our vision system experts have expertise and testing equipment both on the level of hardware and software. On the hardware level, this consists of: off-the-shelf mid-range IP cameras, calibration tools, a custom designed data processing and storage solution and visualization equipment. The number of cameras needed for a particular set-up depends on the complexity of the scene you want to observe (e.g. amount of people to track, their proximity to one another and the amount of scene occlusion). On the software level: state-of-the-art FG/BG segmentation algorithms and a visual hull algorithm including occlusion management and analytics tools. the enrichment of activity loggings, medical data, contextual data, etc. social media analysis on sport tweets, video, images, etc. IDLab is also very active in wireless sensor network research. 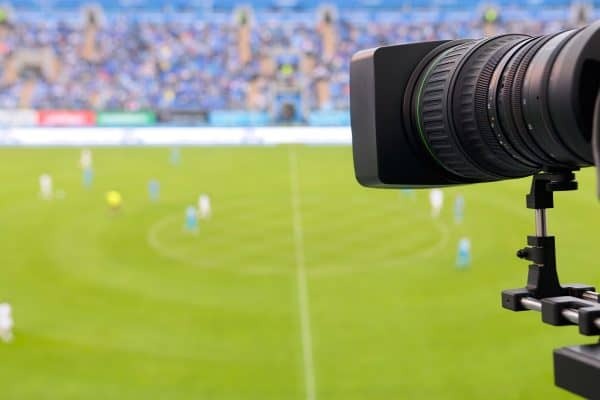 While there exist at least as many sensor network solutions today as there are applications, IDLab rather aims to develop generic solutions and platforms that are widely applicable in many use cases, including sports. 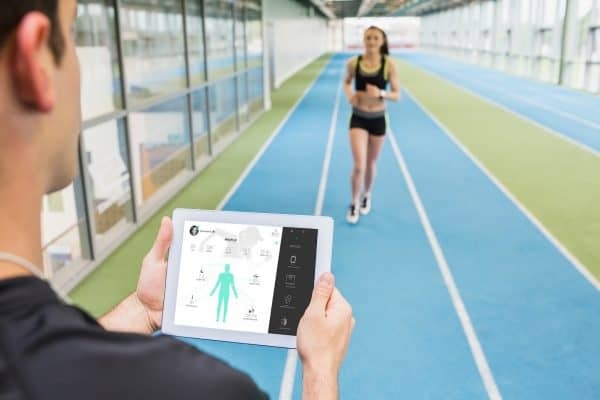 These solutions can for example aid sport’s facilities or teams to easily equip their infrastructure or athletes with sensors and harvest/analyze all data in real-time to come up with valuable insights. In addition, an interdisciplinary team of (bio)engineers, computer scientists, and mathematicians also carries out research along three highly interwoven threads: knowledge-based, predictive, and spatiotemporal modelling, with respective focus on fuzzy set theory, machine learning and spatially explicit modelling. Expertise in product design is mainly found in the Industrial Design Center (IDC), an inherently interdisciplinary group of expertise with a large network of industrial partners. The experts apply a pragmatic “research though design” methodology. This is supported by the use of creativity and iterative prototyping techniques to engage with relevant stakeholders. 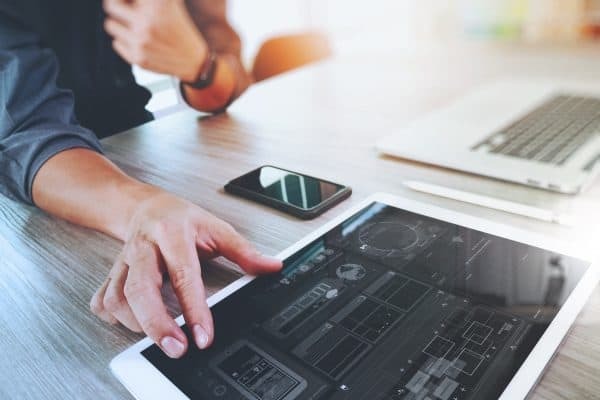 Research at IDC focuses on three important pillars: Design for Collaborative Change, Design for User Experience, and Design for Changing Production. Our Living lab research includes users early on, and all through the innovation process. This approach provides a solution to innovation thresholds and challenges such as: Capturing, understanding and validating users’ interactions with products and services, at an early stage; transforming ideas into prototypes users can interact with in their daily context, shaping ‘(minimum) viable products’ through an iterative, agile process, and co-creating business models through stakeholder analysis and go-to-market definition. Living lab research for innovative digital solutions can be conducted using our Living Labs Toolbox. This is done in very close collaboration with iMinds, the Flemish center for digital innovation. The iMinds Living lab approach helps SMEs and entrepreneurs with a digital product concept to fine-tune their offer and business model through living lab research: defining road-to-market, testing and fine-tuning product prototypes, exploring new ideas resulting in smart decision making: Product on the market, develop further, or decide to stop.